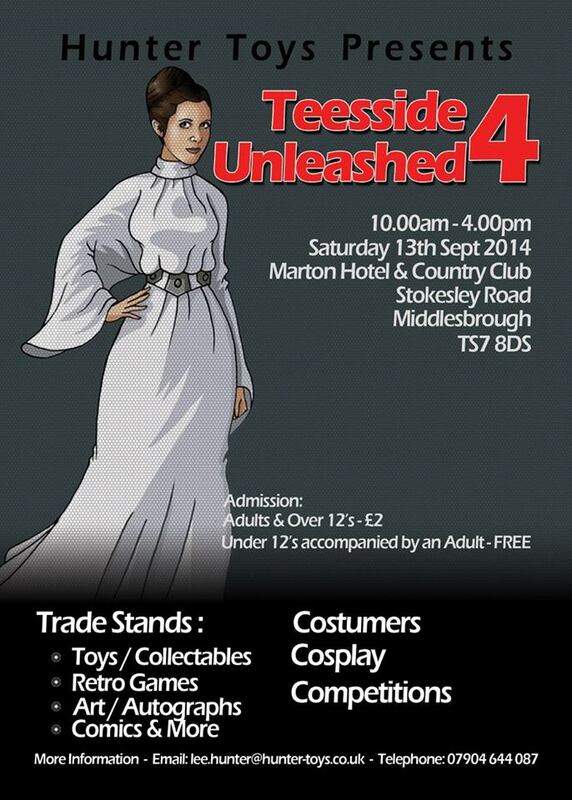 Teesside Unleashed is a multi-genre event including all 'geeky things' whether it be from Movies, Comics, TV, Gaming, Posters and all other media featuring your favourite characters! We will have around 40 traders at the event with 60 tables of amazing toys, memorabilia, comics, games and collectables for you to buy! There is also literally dozens professional costumers in attendance and a professional photographer so that you can purchase a quality picture of you with your favourite character as a souvenir of the day. There will be competitions and prize draws on the day as well as 1 or 2 surprises! We will also have literally dozens professional costumers in attendance and a professional photographer so that you can purchase a quality picture of you with your favourite character as a souvenir of the day. 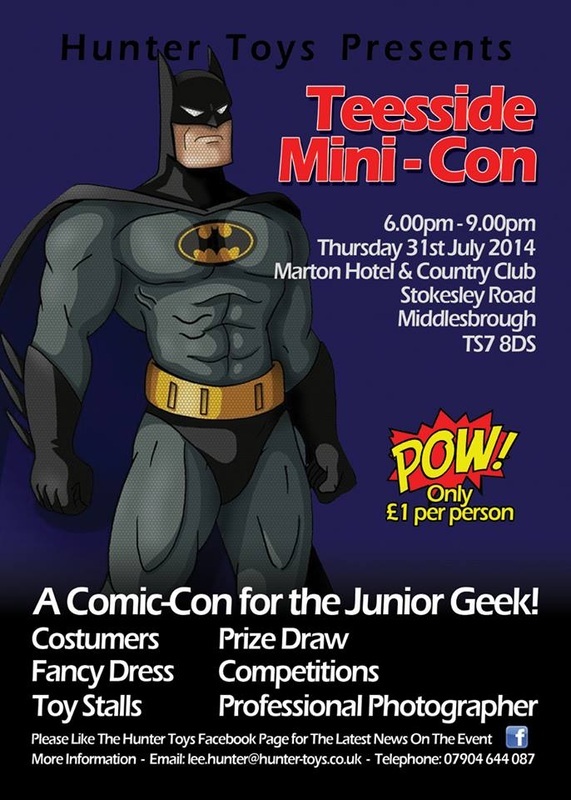 General entry is only £2.00 for over 12s, accompanied under 12s are free! There are no advance tickets - pay on the door! Keep checking the event page on Facebook HERE for news as it arrives!